Industrial robots entered the workplace in the 1960’s as simple pick-and-pack machines. Soon robots were being used to do jobs that were too dangerous for humans, such as moving hot and heavy materials. Robots were a good solution for repetitive tasks but they really couldn’t handle more complex operations. During the 1970’s and 1980’s an explosion of robots appeared in the manufacturing sector. Advances in software capabilities and circuitry brought down the cost of automation while expanding the capabilities of the robots. More complex tasks, such as painting and putting in rivets, were now possible. Today, automation permeates the workplace in manufacturing from end to end. Robots are used for palletizing, pouring molten metal, transport, picking and packing, and heavy duty truck unloading systems. In addition to robots, automation involves a myriad of other processes. Advances in software have allowed automation in all facets of the business, including accounting, payroll, inventory management, and quality control. Data analytics automate the gathering of data and monitors feedback loops with stakeholders and customers. Automation is pervasive in manufacturing businesses from the initial design of a product to the production and distribution to the delivery to the end consumer. All this automation has created a shift in the role of workers in manufacturing. Robots have taken over the tedious repetitive tasks that were performed by humans in the past. Physical labor that was once the task of people is now handled with robotics. Manufacturing workers are now needed to design the tasks for the robots, engineer the machinery, and maintain the software and circuitry. While the collection of data is automated, the decision about what to do with data is still a very human need. The data may indicate that customer feedback is saying a product is declining in demand because of certain flaws, but what do you do with this information? Does a machine need to be retooled? Do more quality control workers need to be put in place? Should you just discontinue the product and go back to the drawing board? Today’s manufacturing workers are more empowered with the ability to solve problems and not just perform repetitive tasks. 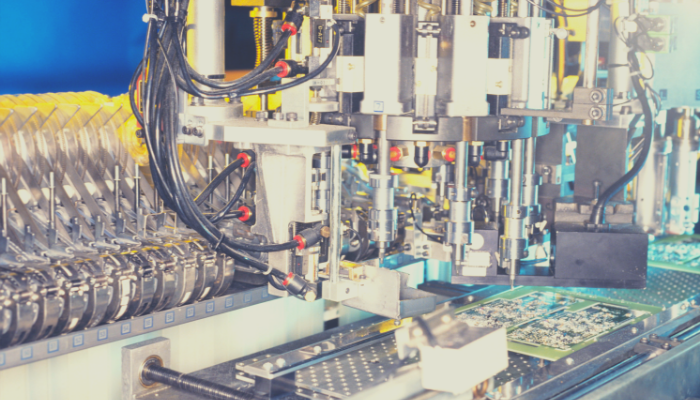 When recruiting for manufacturing positions you need to keep in mind the impact that automation has had on the industry and how the roles of workers have changed. Because of the change in roles for manufacturing employees, businesses have a much greater need for employees with STEM backgrounds (Science, Technology, Engineering, and Math). Manufacturers are increasing the percentage of workers with higher education and specialized degrees and skill sets. Manufacturers are increasing their recruiting presence on college campuses with booths at employment fairs and partnering with universities for internship programs. This allows manufacturers to better connect with students who have STEM experience and reach potential candidates who might not have been aware of the organization or may not have even considered manufacturing as a career path. In order to effectively staff manufacturing in this age of automation, it is necessary for recruiters to broaden the search. In the past few decades, manufacturing has been moving from large cities like Los Angeles, Detroit, Chicago, and New York to small towns and mid-size cities. This creates an additional dilemma for recruiters trying to find more specialized skill sets in a smaller pool of potential candidates. In order to face this challenge recruiters need to look beyond the traditional methods of finding candidates. In addition to the educational institutions mentioned above, consider looking at trade schools and even high schools who might be willing to partner with a business to increase awareness of a potential career in manufacturing. Military bases and institutions who work with veterans are a good source of viable candidates. There are programs that assist veterans who are adjusting back to civilian life. These are great sources of finding individuals who have already received specialized training while serving in the military. Automation has had a large impact on the manufacturing industry. Recruiting new employees takes a special knowledge of how this change has affected the type of positions that need to be filled. It’s best to work with a recruiting company with the expertise to understand how to find the right candidates.